The word "streamline" is often used to refer to something with a smooth design. That’s no different with these Caterpillar Men’s Charcoal Black 90285 Streamline EH Composite Toe Work Shoes. The sleek athletic-style of these Streamline shoes make them stand out ... (see full details) (see specifications) #CTP90285. The word "streamline" is often used to refer to something with a smooth design. That’s no different with these Caterpillar Men’s Charcoal Black 90285 Streamline EH Composite Toe Work Shoes. The sleek athletic-style of these Streamline shoes make them stand out above the rest. Made with a charcoal nylon mesh uppers with direct inject polyurethane, these CAT shoes are water-resistant while remaining breathable interiors. Inside, the lightweight nylon mesh lining allows for airflow to keep your feet cool and comfortable. A combination of Strobel and cement construction gives the light and flexible feel of athletic shoes. The smooth ErgoLite design of these composite toe shoes is made for all-day comfort. To absorb shock the contoured footbeds are shaped and formed to your feet. Nylex and molded EVA sock liners create lightweight cushioning and draw moisture away from your feet, while the dual-density EVA midsoles control motion and support. Arch support, cushioning, and comfort is created through the sculpted design of these Caterpillar shoes. The EVA midsoles are light and soft while controlling motion to absorb shock and return energy back to your feet. For extra cushioning around your ankles, there are comfy foam collars. The efficient construction of these safety toe shoes continues with safety. T1000 rubber outsoles are made with SRX (Extreme Slip-Resistance) to keep you on your feet, and they're also oil- and chemical-resistant. To protect your feet from impact and compression, these slip-resistant shoes have a lightweight composite toes. An electrical hazard rating means the non-conductive heels and soles protect wearers against accidental contact with live electrical wire. These men's shoes meet ASTM F2413-11 requirements. 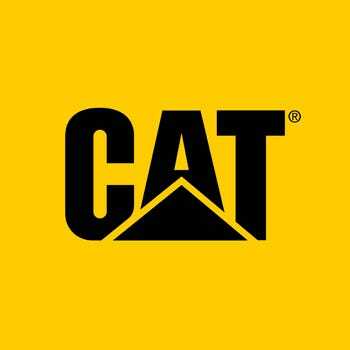 Caterpillar is best known for making earth-moving equipment, a process they've gotten down pat. It’s no different with these Caterpillar Men’s Charcoal 90285 Streamline Composite Toe EH Shoes. CAT has streamlined the creation of great work footwear. Caterpillar Shoes: Men's Composite Toe 90285 EH Streamline Athletic Shoes is being added to your cart.